Why our Stainless Steel Housings might be right for your industrial setting. The rugged and sleek design of these three housings each provide different benefits. The extended profile on the M5 & M6 housings accommodate for any additional component wiring within the electrical enclosure. A padlockable door with a screw-down clamp provides tool access for qualified personnel. The JB7 Stainless Steel Housing features a lower profile with nearly half the depths of the M5 & M6 making it suitable for tight spaces. Like the M5 & M6, the JB7 housing features tool entry with a quarter-turn latch and padlock ability for restricted access. Stainless steel housings are applicable in many industry settings, especially those where corrosion may occur. These include the following: water treatment, chemical, pharmaceutical, dairy, food and beverage, oil and gas, and more. The water resistant seal on the housings also make them great for wet or moist settings. The housing gaskets provide a seal from outside contaminants, however, they are not meant to be fully submerged in water. 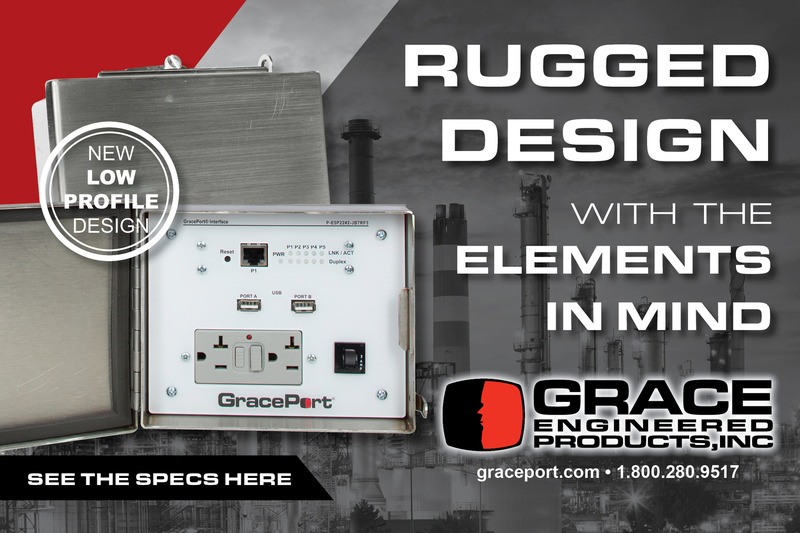 GracePort Stainless Steel Housings protect all the components, circuit breakers and power options featured on our fully customizable GracePort. By placing components within a protective Stainless Steel Housing, qualified personnel can ensure ultimate protection within corrosive environments so they can continue to program safely through closed doors.